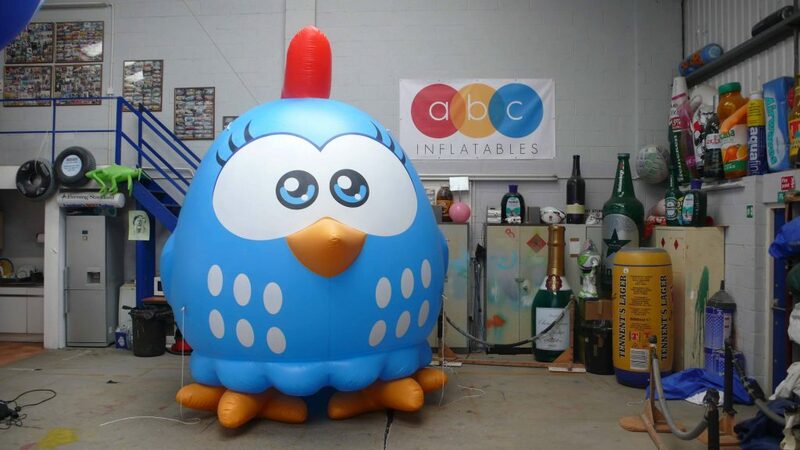 Our client wanted an inflatable replica of their Lottie Dottie Chicken character to use on their exhibition stand. They were going to a big show in California and wanted to make sure they caught the audience’s attention. We agreed that a pair of giant inflatable chickens would do the trick! When we saw their fun cartoon character we were delighted to help. We made a 1.8 meter high Lottie Dottie inflatable chicken. The client was very helpful and sent us several visuals of their character from different angles. They also sent the pantone colour references. This all made our job that bit easier. As you can see Lottie Dottie is a great character to make as an inflatable. The shape absolutely lends itself to an inflatable. Doesn’t she look brilliant? The client was thrilled. We sent them photographs of the finished inflatable chicken before shipping. Guess what? They asked us to make an even bigger one too! So we made another one over twice the size. A giant inflatable chicken! As you can imagine, everybody loved them. Apparently they ‘owned the show’ when they got to the States! 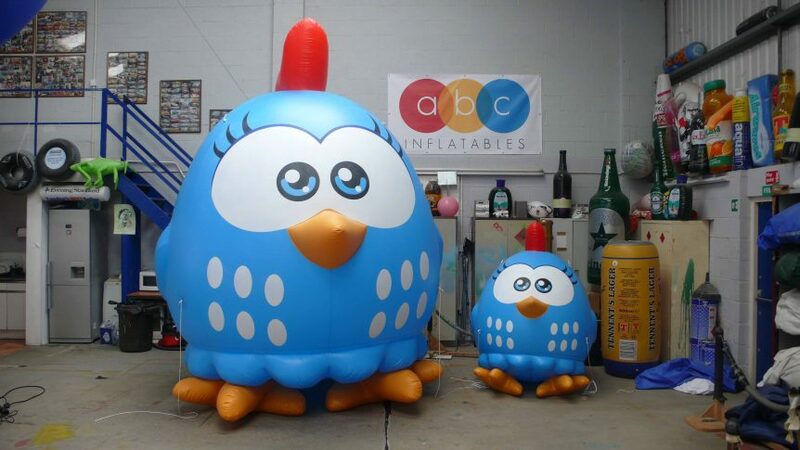 We have made quite a few inflatable characters over the years. Last year, we made inflatable cigarette characters for an anti-smoking charity. For Lindt, we made giant inflatable gold bunnies. 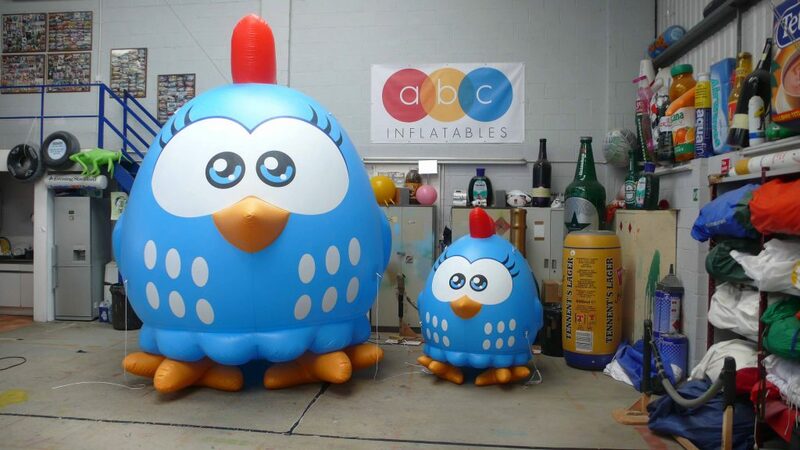 We also created inflatable drinks characters for the Notting Hill Carnival. 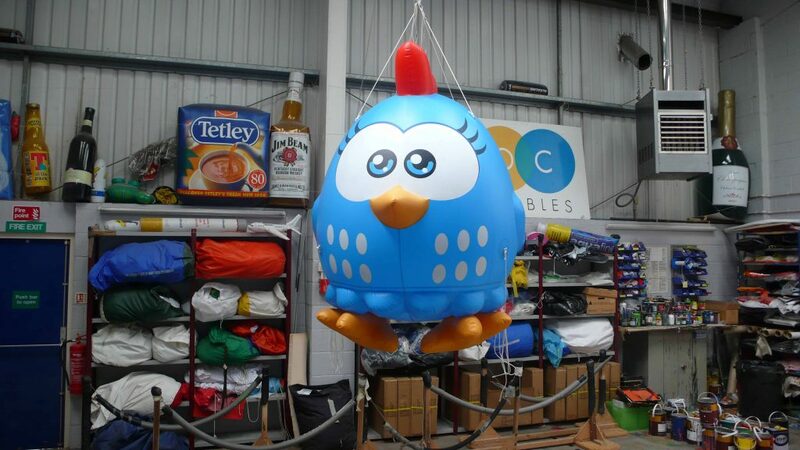 One client wanted a giant inflatable Angry Bird for a big exhibition at Olympia. And finally, we also made a giant inflatable Pigby for the NatWest cricket. So would you like us to reproduce your own character as an inflatable? Why not email us or give us a ring on 01295 278600 and we can chat through your ideas.